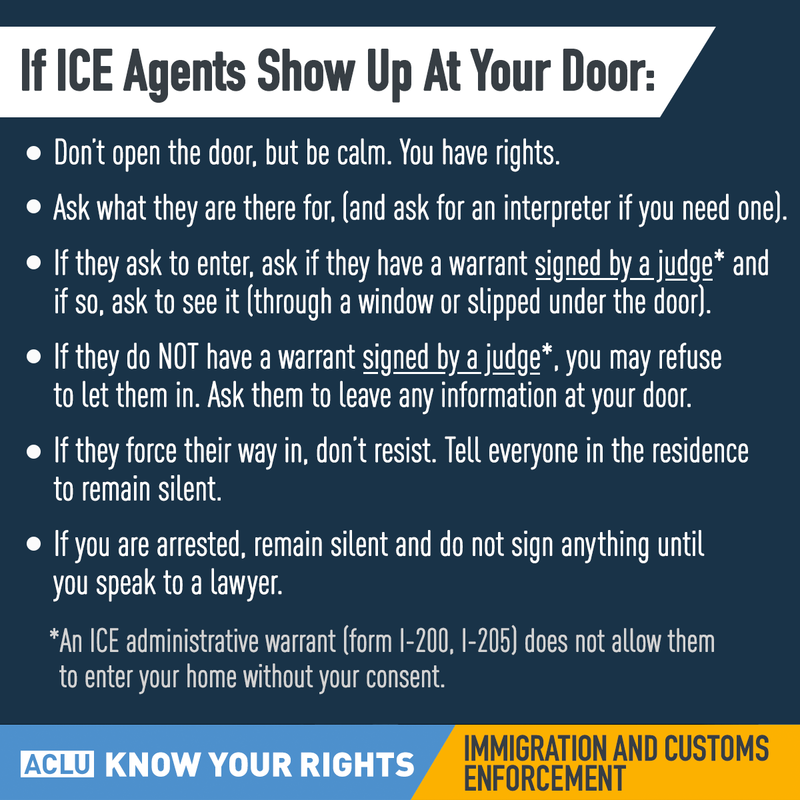 It’s important to realize that when immigration raids take place, ICE agents often break the law, and may violate your due process rights, especially when you don’t have a firm understanding of the law and believe that you have no rights as an undocumented person. 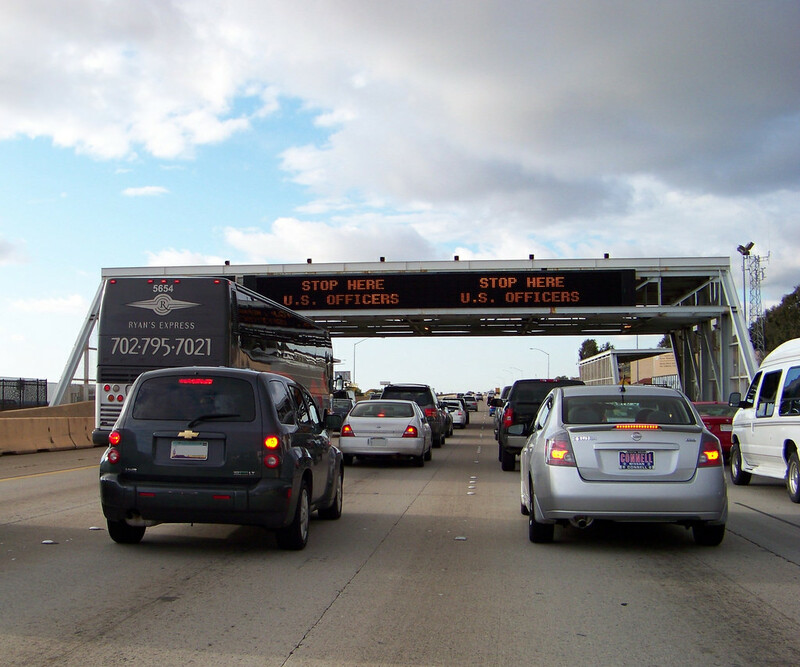 Be prepared and informed of your rights BEFORE an immigration raid takes place or before going through an immigration checkpoint. Schedule a consultation with our office to discuss your rights and come up with a plan on what you should and should not do during an immigration raid. Know your rights, remain calm, and remember that you have the right to remain silent until a lawyer is present. Make a plan with your loved ones today so you are better prepared when ICE agents come to your door. Never lie to an immigration officer, instead remain silent. NEVER sign any document without a lawyer being present. If immigration tries to intimidate or force you to sign a document, REFUSE. Be prepared and plan ahead. Contact or visit our office to be well-informed of your rights. Be aware of documents that you should carry with you at all times such as a state identification or driver’s license. Do not carry false documents. Do not LIE to an immigration officer about your immigration status. You have the right to remain silent! Carry a card that states that you wish to exercise your right to remain silent for use in case you are interrogated by immigration/police officers. Always carry the name and the phone number of the immigration lawyer you wish to call if the immigration/police detains you. 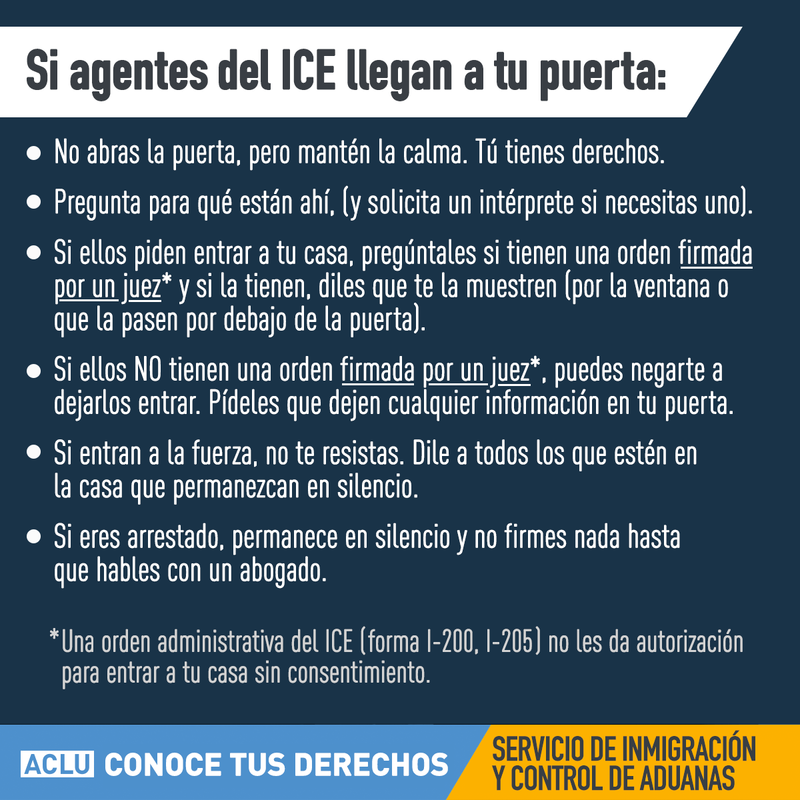 Inform your neighbors, roommates, coworkers, and relatives, of their right to remain silent if immigration/police comes to your neighborhood or workplace. Do not let any immigration official or public officer into your home/house/apartment without a court warrant. If they do not have one, they need your authorization in order to go inside. DO NOT open the door. Ask them to put the warrant under the door. The warrant has specific names of people that he agents are looking for and should be signed by a judge. You should not open the door if the agents do not have a warrant or if it does not meet these requirements. If immigration officials or police officers enter without proper authorization, ask for their names and/or write down their badge numbers. Remain calm and do not try to run away. If you do so, immigration/police may use that against you. Refuse to answer any questions regarding your birthplace and your legal status, unless a lawyer is present. If you have children in school who will not have someone to watch them while you are detained, say so, and ask to make arrangements. The right to a hearing before an immigration judge. If you have been detained by ICE, and would like to be represented by our office call us at 1 (866) 488-1554 to discuss your options.